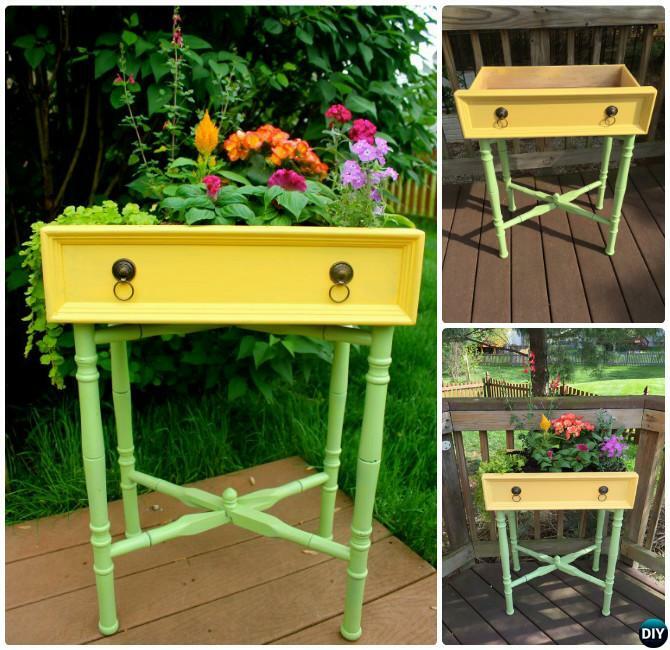 If you have an old dresser or a drawer that you are about to toss away, you will have changed your mind after you come across this superb collection of drawer gardening ideas. 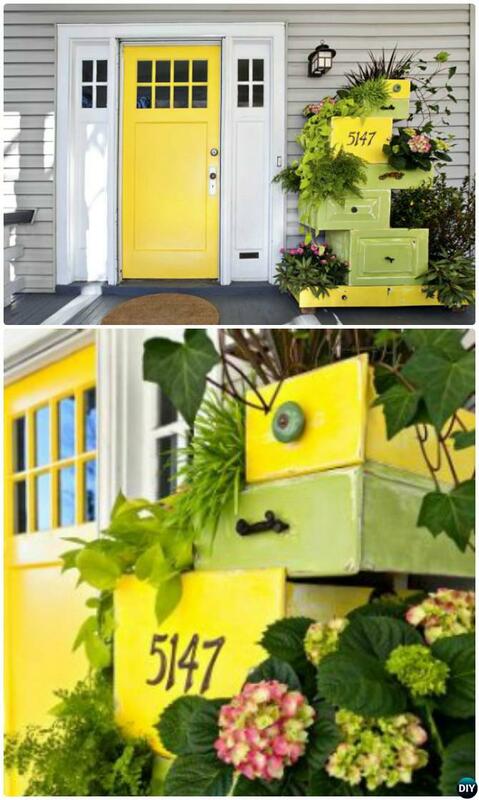 By stacking drawers or attaching legs to the drawer, fresh coat of paint you can transform the drawer into bright and wonderful mini gardens!! Our DIY Garden Channel has a collection of container gardening as following, and today we would love to focus on drawer garden projects. 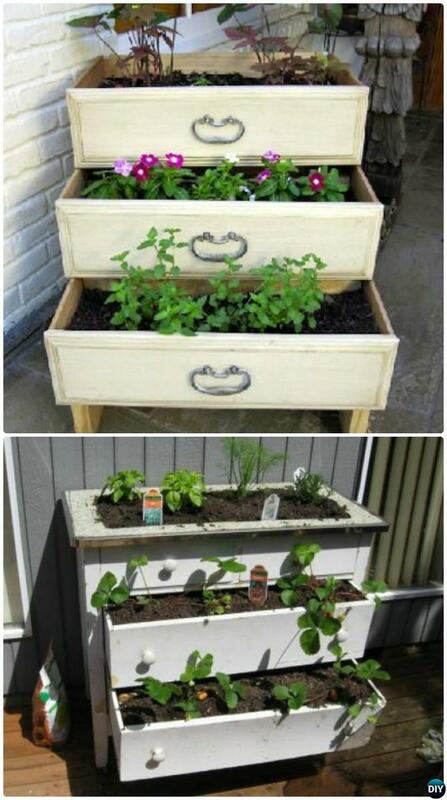 Repurpose old drawers you are going to dump and give them a new life for a beautiful garden with these creative container gardening ideas we will bring to you. 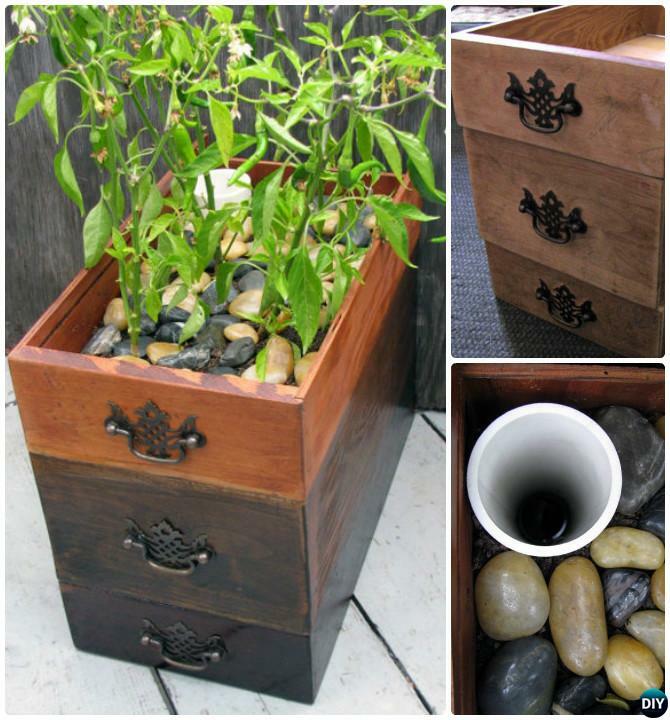 By experience, some crafters suggest to use durable natural wood drawers when choosing the drawers for garden, always keep in mind to drill holes for water drainage and then fill it with dirt and plant flowers. 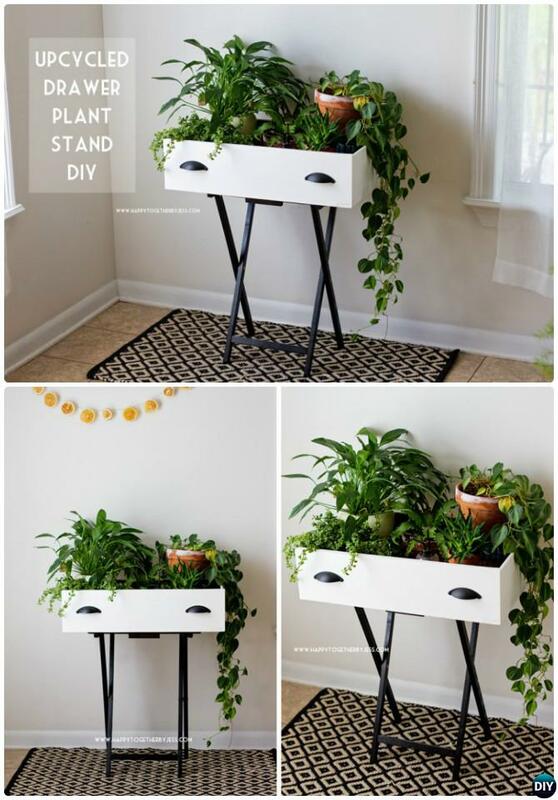 Add a stand to make an easy movable drawer planter for home or patio.